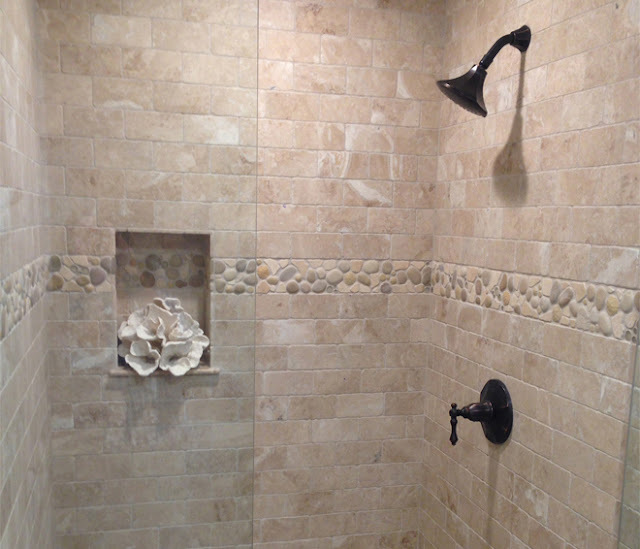 When we ship out orders to our clients we encourage them to take photos of the finished installation! 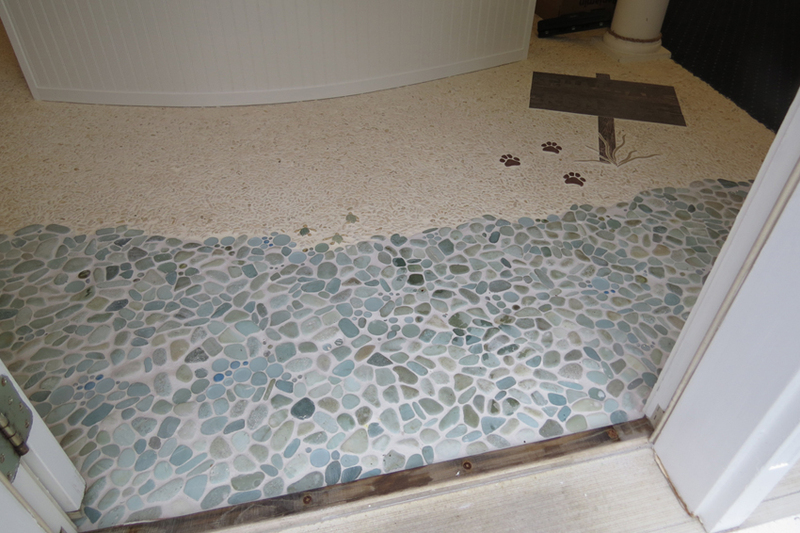 Here are a few of the new installation pictures we have received! 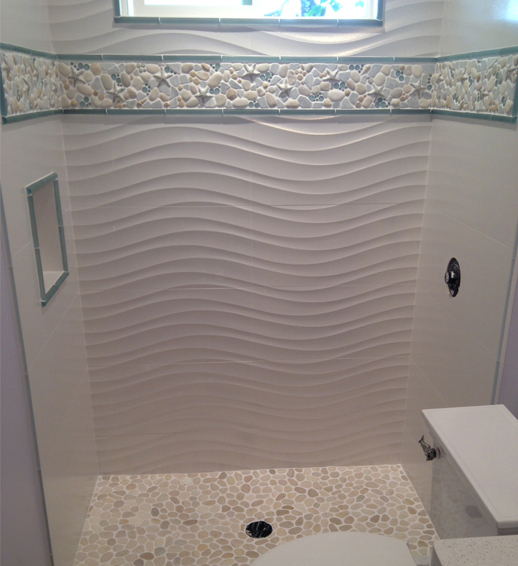 This "Ocean Medley" border was made to wrap around an extremely unique shower! This floor in Cape Cod, MA features Skipping Stones, Rounds, Drops, a few of our Baby Sea Turtle friends, and a few Muddy Paws in the top right! 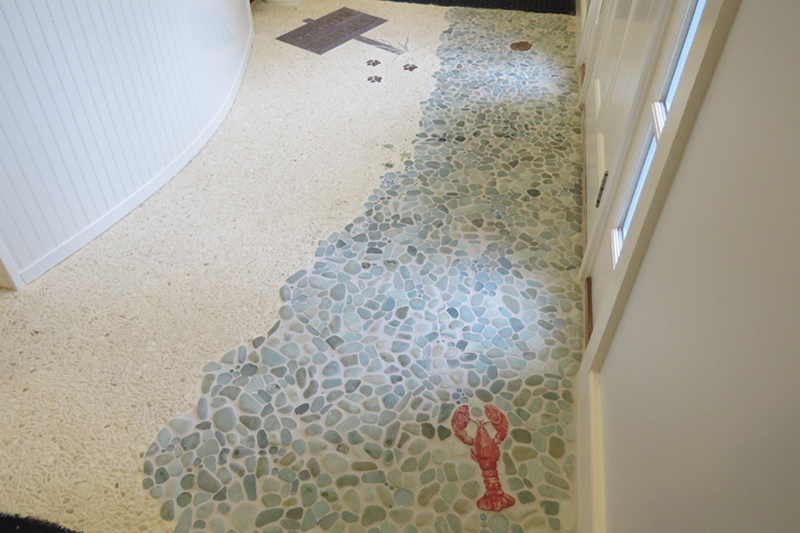 A lobster hides in the corner! Last but not least, this sand dollar border fits in perfectly with this shower.